"With its magnificent views of the fells and the forests this quiet period guest house is ideal for walkers and dreamers alike." 4-star Bassenthwaite guest house making all the right links. 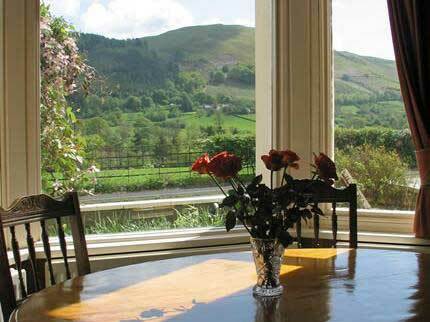 Bassenthwaite preserves the romance and awe of the classic holiday in the Lakes. Lying at the foot of the mighty Skiddaw, Bassenthwaite is the biggest body of water in any of the Lakeland regions, measuring some five miles long and fed into by the River Derwent. It is also home to some of the largest quotas of Pike, Salmon and Trout in the area and has become increasingly popular with photographers hoping to catch a glimpse of Osprey nesting in the area. Built during the latter half of the 1900s the Link House By The Lake is a charming country guest house enjoying a serene lakeside setting, half way between the towns Keswick and Cockermouth, birthplace of the poet William Wordsworth. With its magnificent views of the fells and the forests this quiet period guest house is ideal for walkers and dreamers alike. Accommodation comprises 2 single en-suite bedrooms, 1 single with private bathroom, 3 double en-suite bedrooms and 2 twin en-suite bedrooms. Private off road parking, cycle storage, drying facilities and licensed conservatory bar.